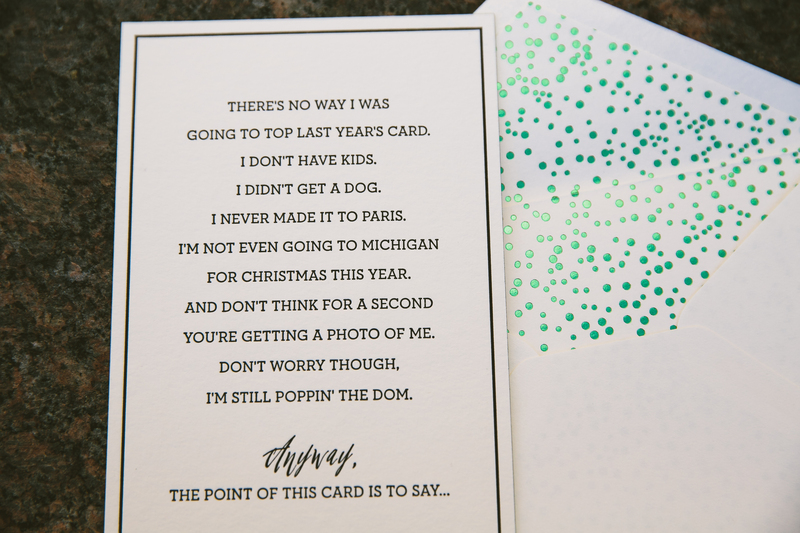 We can’t wipe the grin off our faces while reading the clever greeting on these foil stamped New Year’s cards made with the help of Sweet Paper. 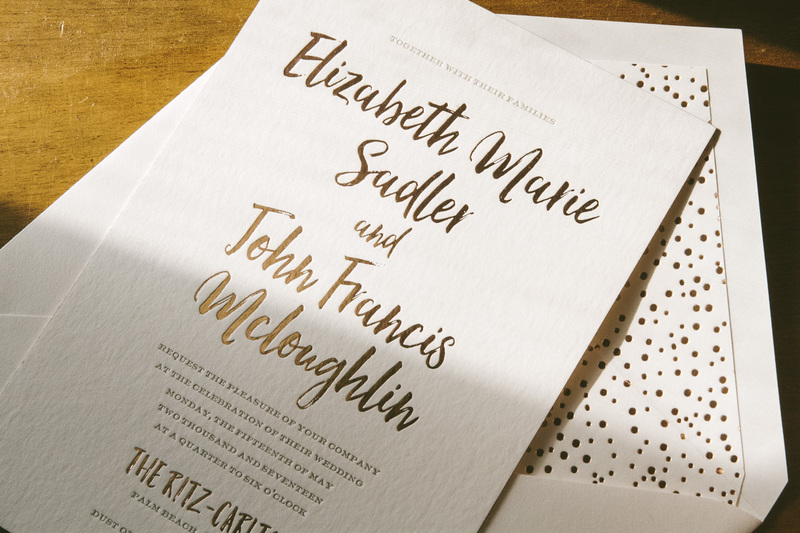 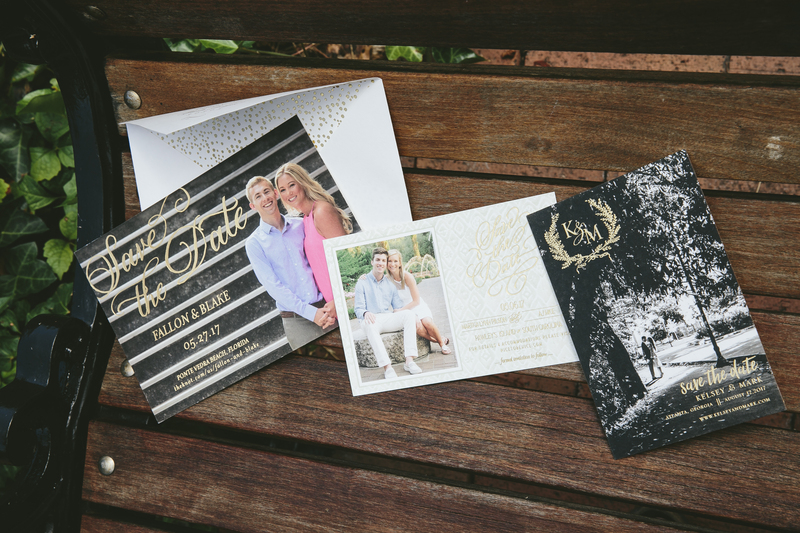 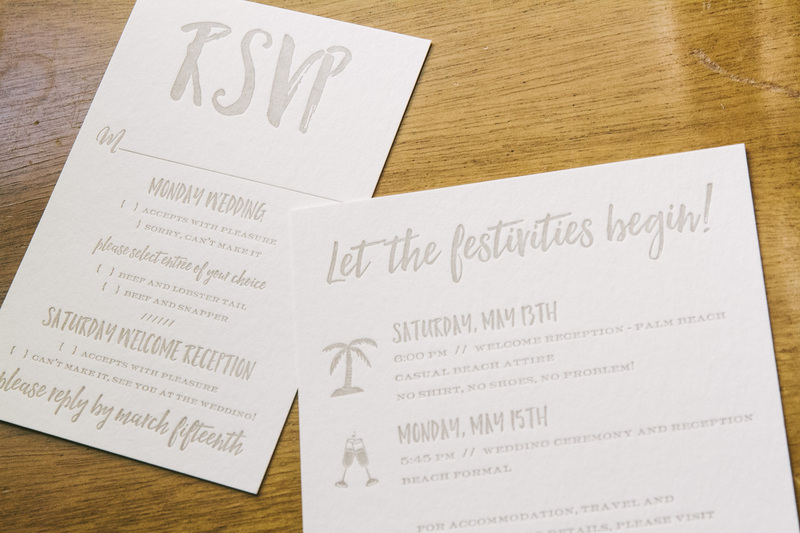 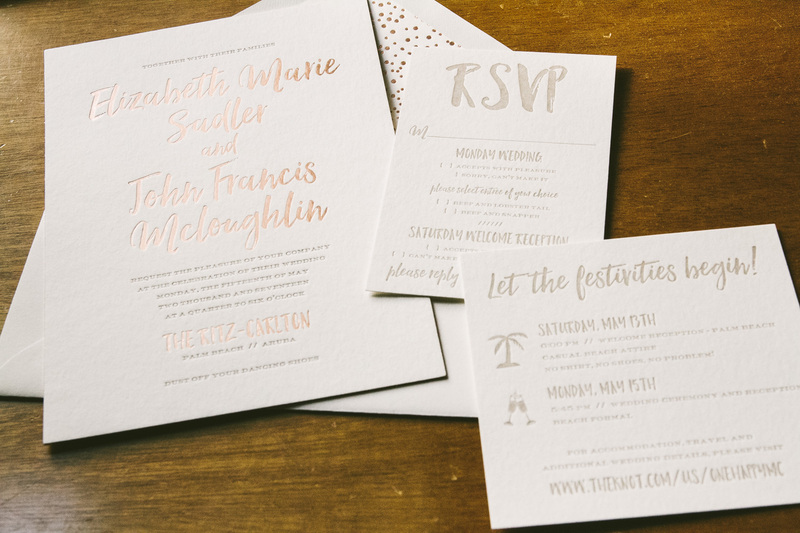 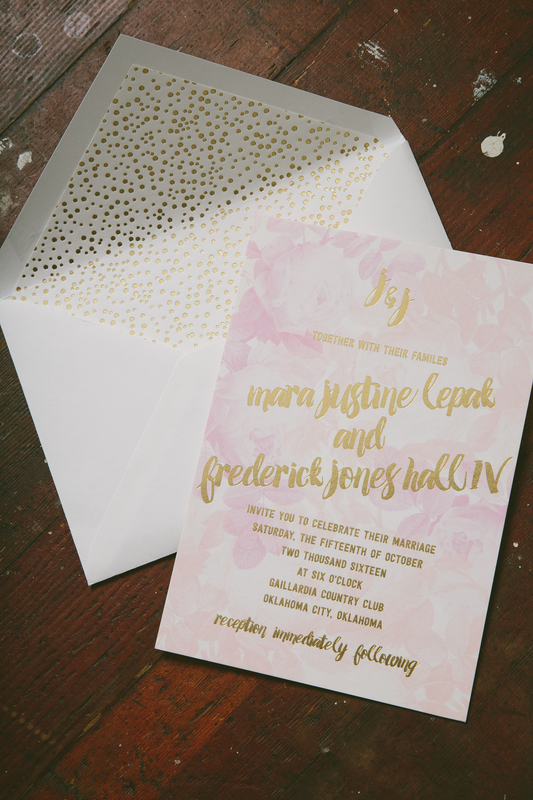 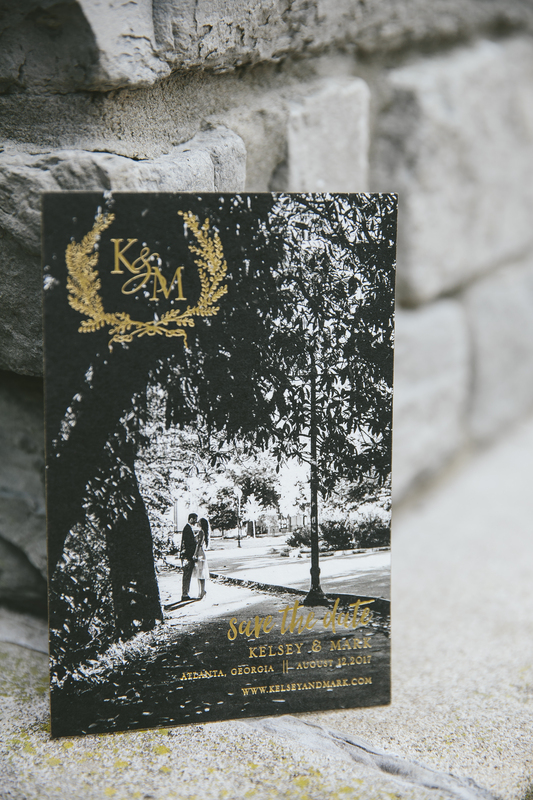 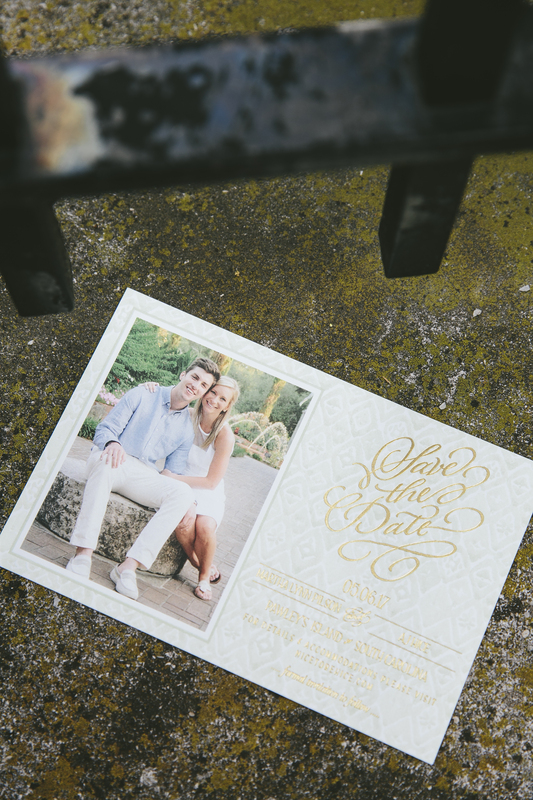 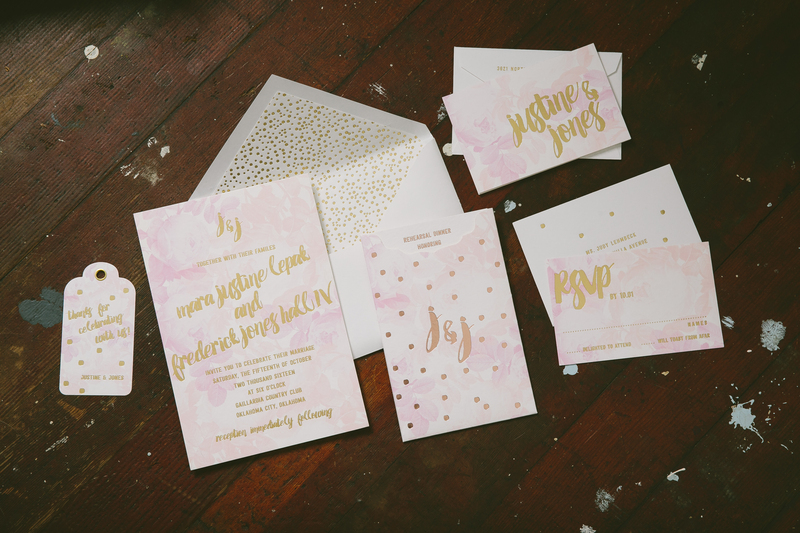 With such a glamorous, celebratory front printed in Green Shine and Gold Shine foil, the back printed in simple, clean Black letterpress added an unexpectedly charming twist to the card. 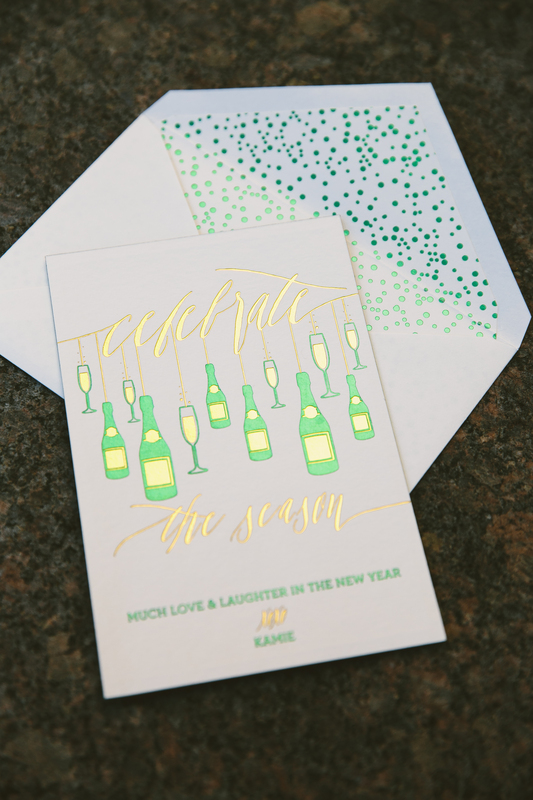 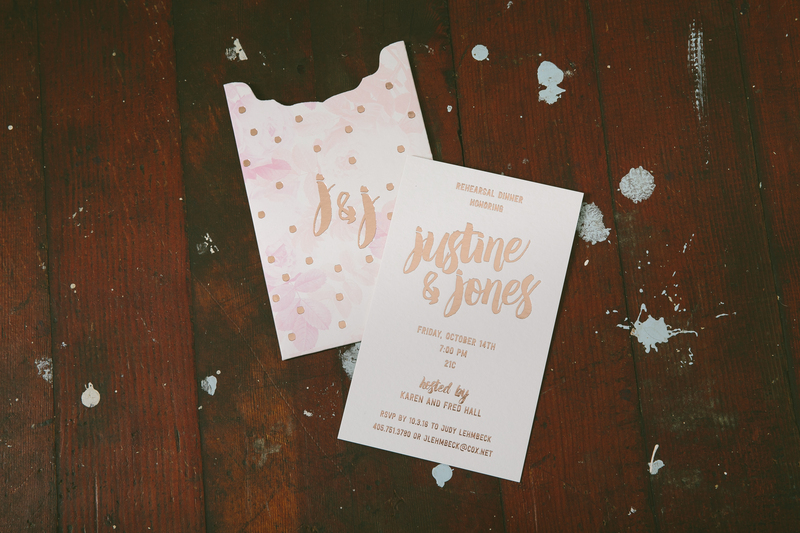 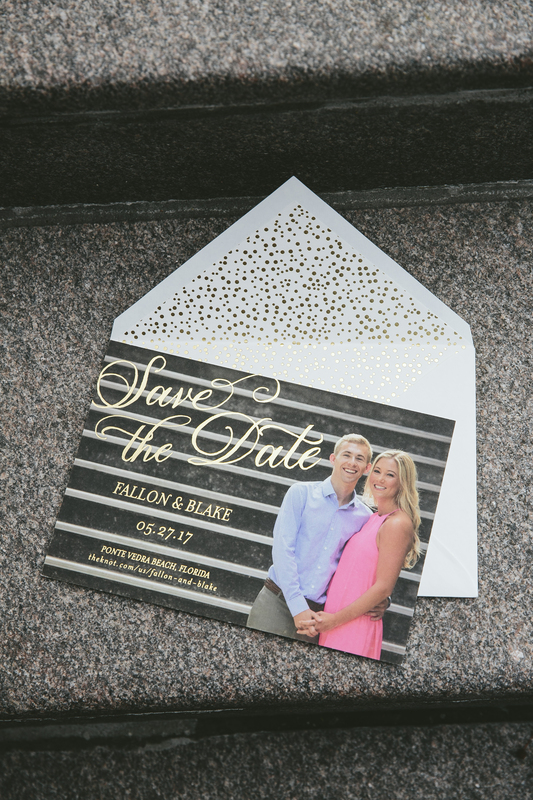 The pearl pattern envelope liner printed in Green Shine was a perfect addition in the way it mimics the bubbles of freshly poured champagne when the clock turns to midnight on New Year’s Eve!